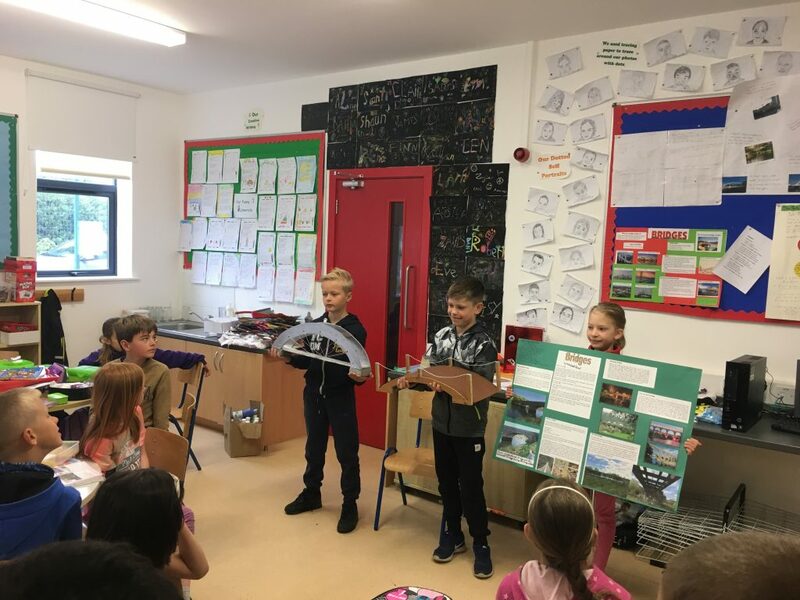 The whole school have been doing lots of work on Global Citzenship this year. 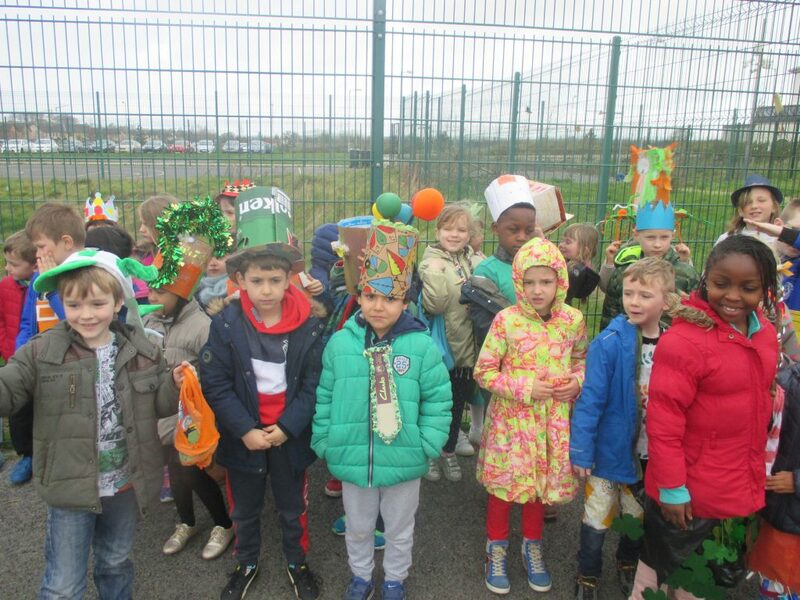 We have been concentrating on litter and recycling. 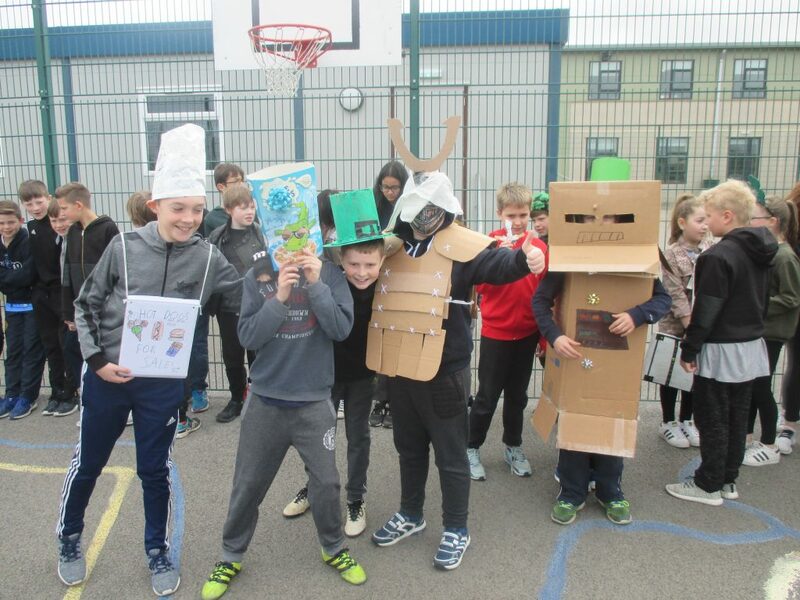 We did a whole-school initiative, where students taught of ways to using recycling material to make new “fashionable” outfits and clothes. 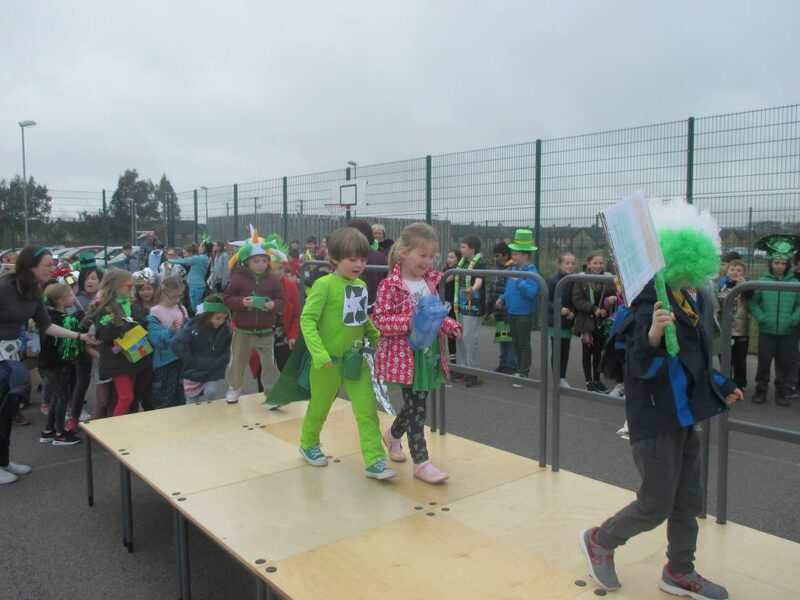 We has a day event, where all pupils got the opportunity to showcase their outfit. 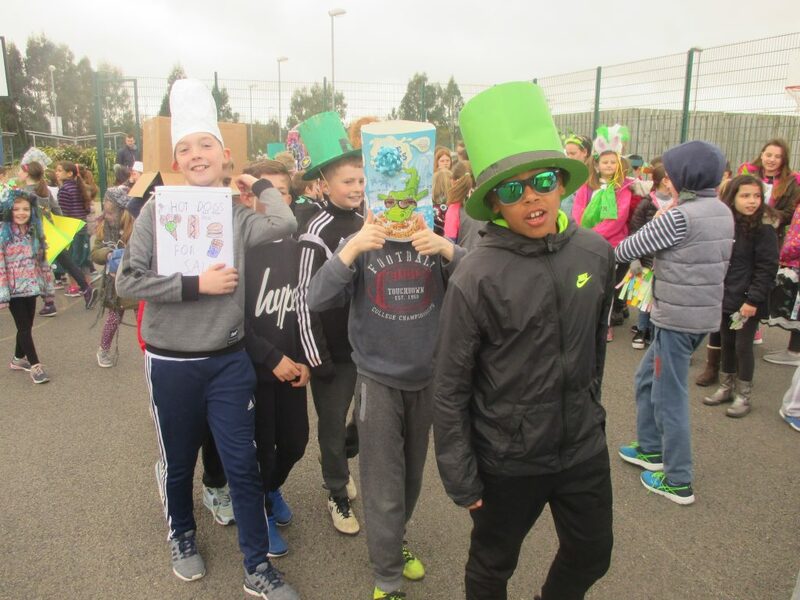 On Thursday 16th March we held our Green-Schools Day of Action at Ralet on our current Green-Schools theme which is Global Citizenship – Litter and Waste. 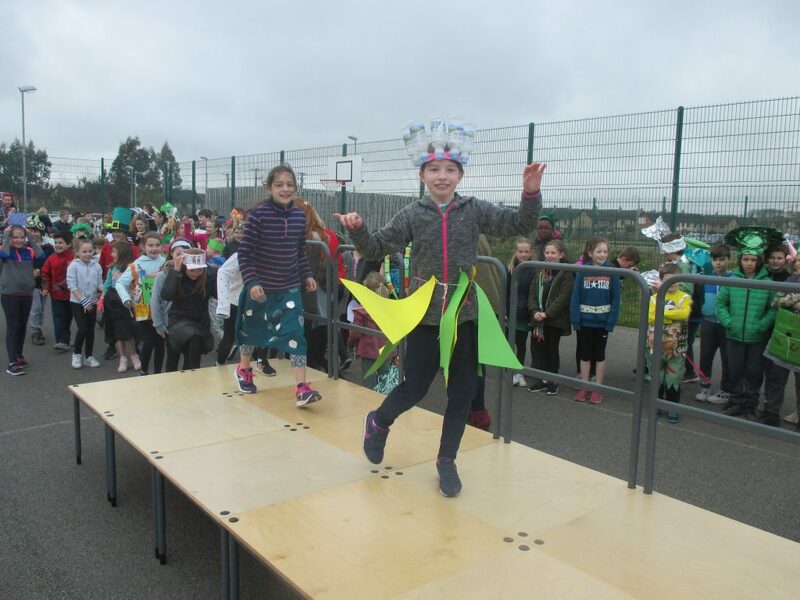 The action that we took as a whole school was for each individual to design and create a piece of clothing or a piece of artwork using recycled materials. 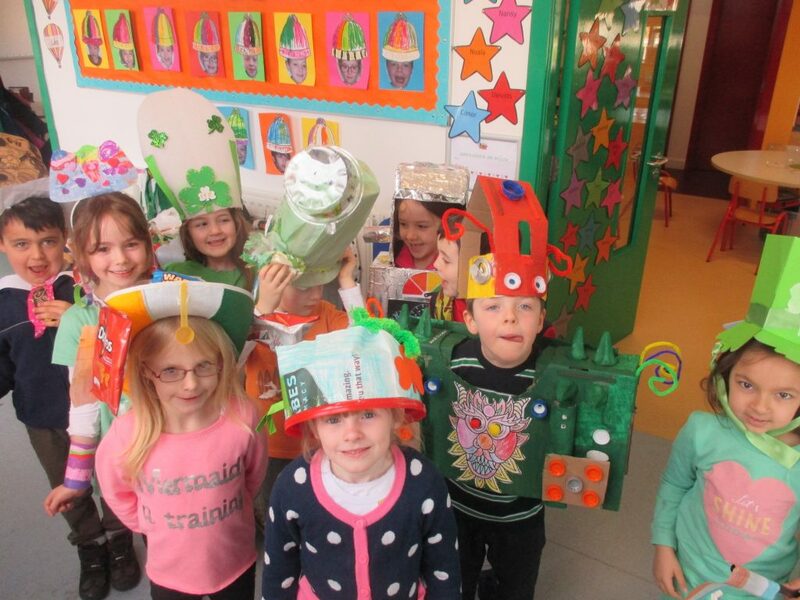 Pupils, along with the help of their parents, got really imaginative and reused materials in creative ways. 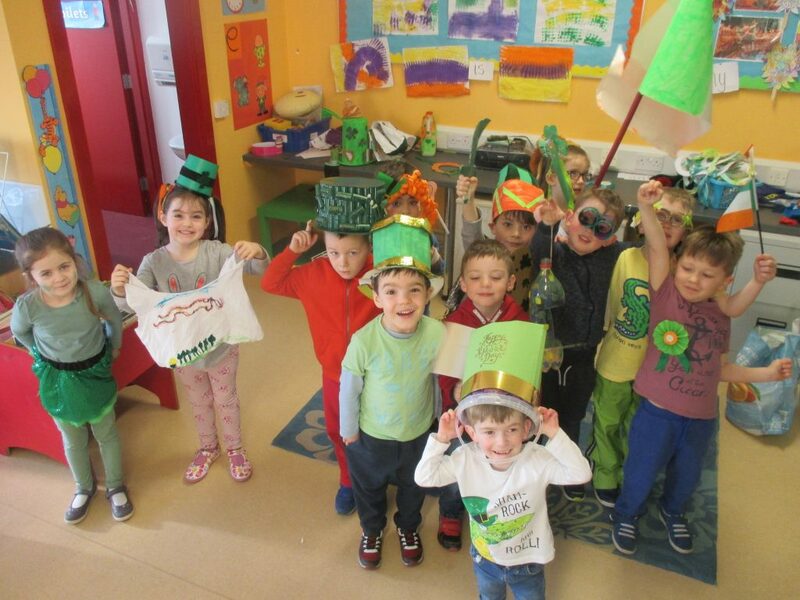 The green- friendly items that were made varied greatly, from masks, hats, dresses, bags, gloves and jewellery to signs, jet-packs and more abstract pieces. 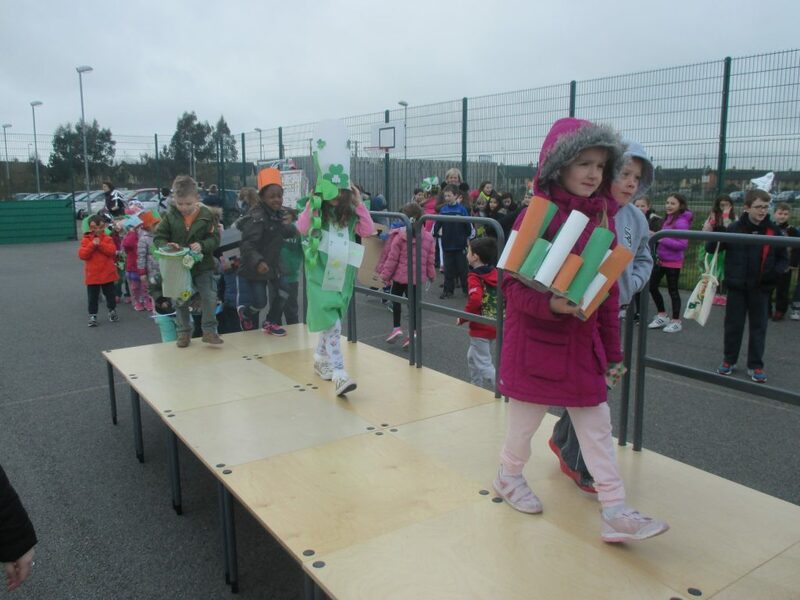 After little break our whole school assembled in the yard and classes took it in turns to walk across a runway, modelling or carrying the recycled item that they had made. Some parents came to watch the event. Afterwards we held a small raffle to recognise and reward all of the effort that our pupils put into this project over the last few weeks. 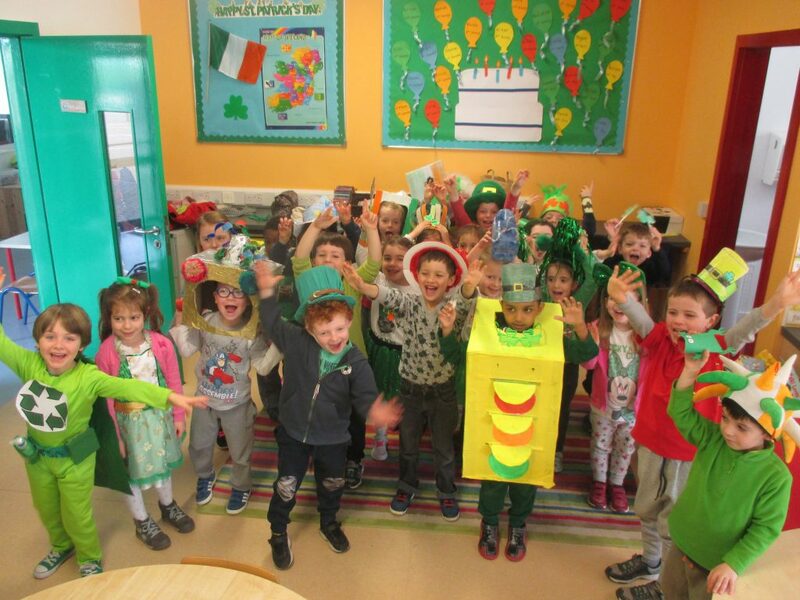 6th Class made candles to sell to the school community as part of the Junior Entrepreneur Programme. 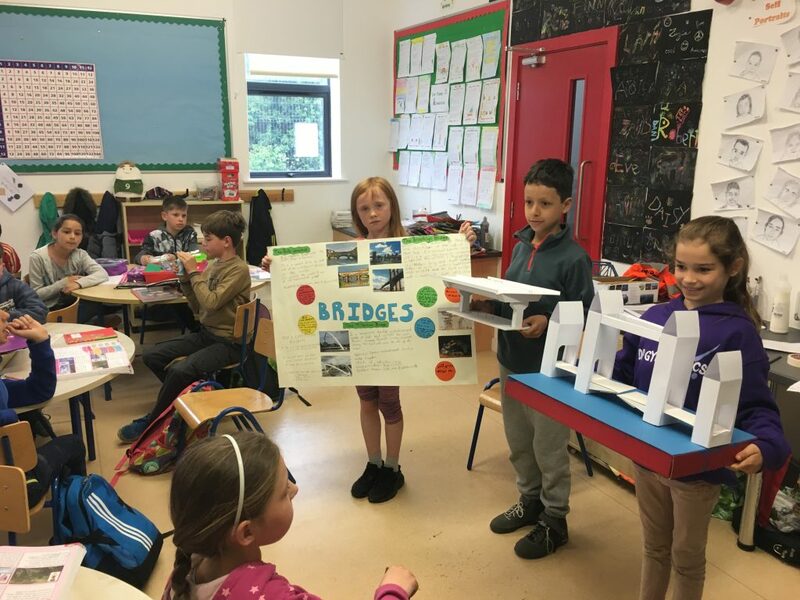 3rd Class presented their science projects on bridges to their class. 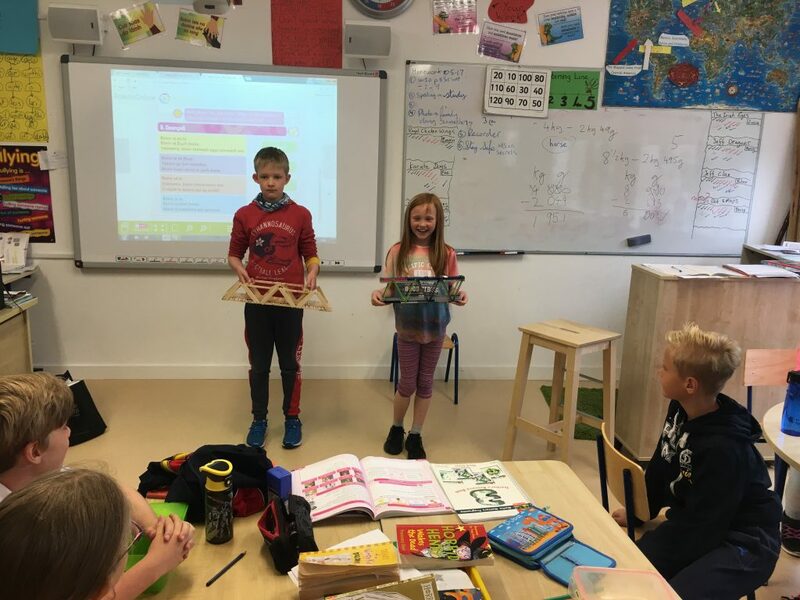 Some children even constructed their own bridges as well.